Green plants and flowers look gorgeous on large decks and small balconies. Green plants and flowers are charming and inexpensive decorating ideas for spring, that create fresh look and add a splash of bright color to your outdoor room decor. Green decorating ideas are a nice way to create pleasant outdoor spaces to relax in spring and summer. Your favorite green plants and blooming flowers add personality to your small balcony or deck, creating a unique decorating palette that is personal and cheerful. Spring decorating make a small balcony look inviting and beautiful. 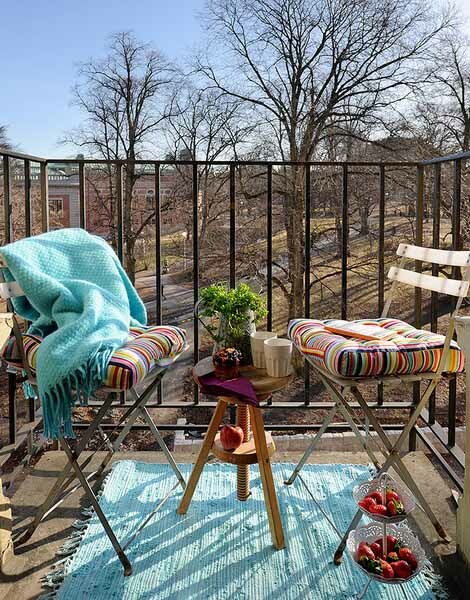 Decluttering and fresh decorating ideas dramatically transform the way your balcony looks and feels. Getting rid of clutter, a fresh coat of paint, bringing few furniture pieces and adding attractive decorating items, green plants containers and blooming flowers in pots are simple and very effective spring decorating ideas that will create inspiring outdoor decor and keep your balcony beautiful till fall. 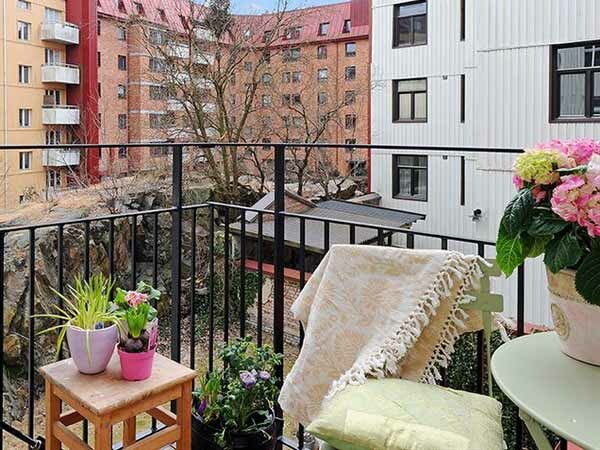 The gallery of spring decorating ideas will help to transform your small balcony into a green paradise and a peaceful retreat to enjoy in spring and summer. 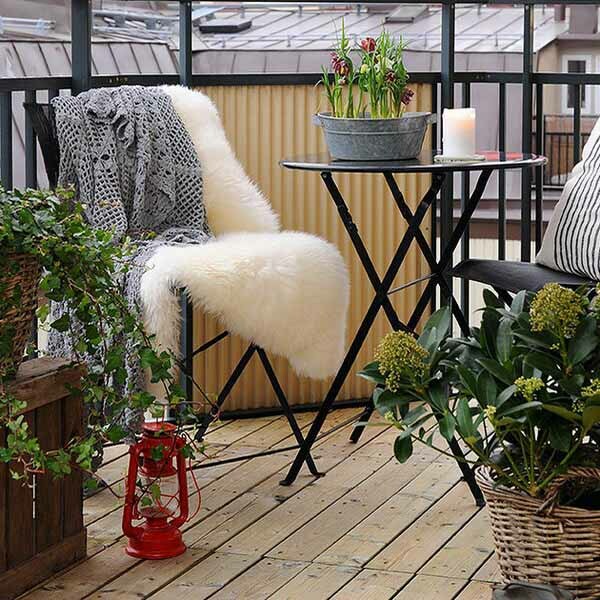 15 fresh spring decorating ideas for the balcony from Swedish designers are simple and inspiring. Sweden is a northern country, so many decorating ideas from Swedish designers and decorators can be used for Northern American homes in spring.